Buy & sell vehicles easier with up-to-date history reporting and electronic transfer of ownership. Motorcentral® Car Check services allow you to quickly determine the ownership of a vehicle, identify any potential problems it may have and if you decide to purchase, can transfer the ownership of the vehicle into your dealerships name at the click of a button. Our services are up to 36% cheaper* than other leading providers. Remove double-handling by instantly transferring report data to Motorcentral DMS. Create CINs, Vehicle Info Sheets and Purchase Agreements with one-click. Use on your mobile when you're looking at a car offsite. * When compared with other similar services as at 20 Dec 2018. 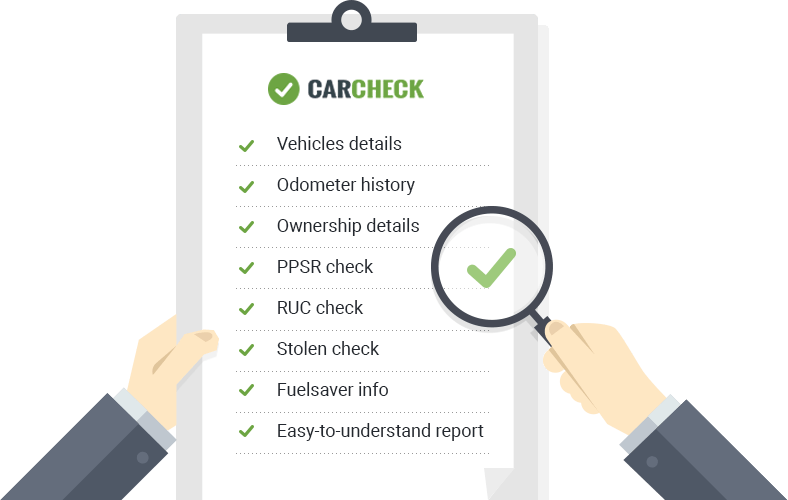 Motorcentral Car Check is ideal for any motor vehicle dealer looking to verify the legal status of their next vehicle purchase or trade-in. Simply enter the Plate No. or VIN of the vehicle in question and let Motorcentral Car Check retrieve up-to-date information about your selected vehicle. 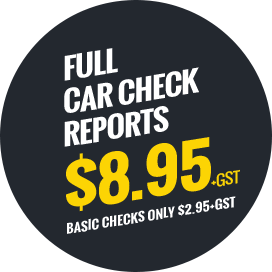 Motorcentral Car Check is a simple, fast & affordable reporting service to help put your mind at ease when it comes to your next vehicle trade or purchase. Our Full Car Check report will not only check a vehicles current plate for any matching Registered Securities, but also any plate it's had previously. That way if a security has been registered on a vehicle and then its plates change, you will still be alerted to the fact it may currently have money owing on it. 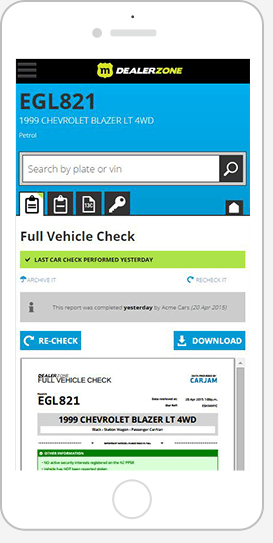 Upon completion of any Car Check report you can use the same vehicle information captured to create either a Consumer Information Notice, Vehicle Summary Sheet or a Purchase Agreement all at the click of a button. All our Car Check services are accessible from your mobile phone, handy when you're looking to purchase a vehicle offsite. 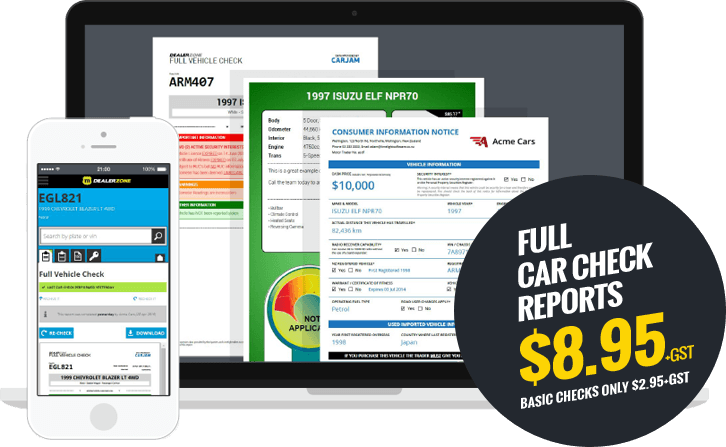 The information contained in each Car Check report can be instantly transferred to a vehicle in your Motorcentral DMS, saving you data-entry time. Printable document used when purchasing a vehicle from another party.